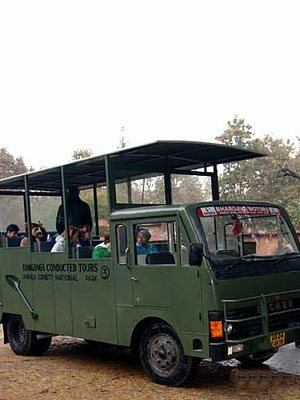 Tiger Camp is located on the periphery of Corbett National Park surrounded by thick jungles on one side and river Kosi on the other. Tiger Camp offers deluxe cottages and rooms, superior rooms & standard cottages. All are with ensuite facilities. All cottages are air-conditioned. Each room / cottage is equipped with a double / twin bed, coffee table, chairs, clothes rack, air-conditioner etc. Each one has an attached western style toilet and a hot shower. Tiger Camp, Corbett National Park is a perfect destination for nature lovers, bird watchers, and wildlife enthusiasts. 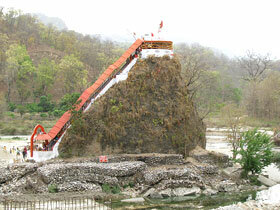 Set near the outskirts of the park, it offers stunning views of the forest and the gushing river Kosi. Staying here is an experience that must not be missed. 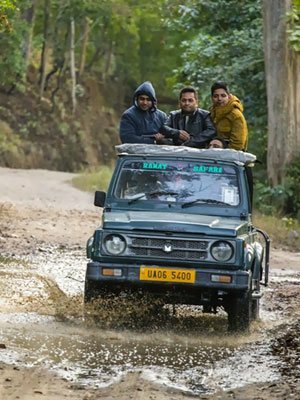 Tiger Camp Resort is rated among the top wildlife resorts of Corbett, and is the perfect place to take rest from the hectic city life and work schedules. Our expertly crafted cottages and refined hospitality act as the perfect antidote for a wearied body and mind; rejuvenate yourself, Book your stay now! The Tiger Camp Resort is located in a scenic landscape that lies between the reserved jungles of the Jim Corbett National Park and River Kosi. The resort offers magnificent views of nature and the famed wilderness of Kumaon. Fun filled pastimes, exciting adventure activities and a serene repose amidst nature’s lap, are all brought together in an appealing package by us at the Tiger Camp Resort in Corbett. Located on the periphery of Jim Corbett National Park, Surrounded by thick jungles on one side and the long stretch River Kosi flows on the other side gives the resort wonderful location to stay with while you are out on wildlife weekend gateway. 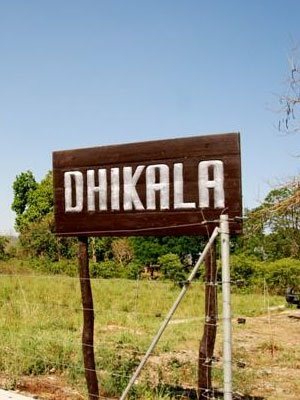 So if you are looking to experience a stay amidst forest or jungle beauty, certainly this resort would be the best option so far. 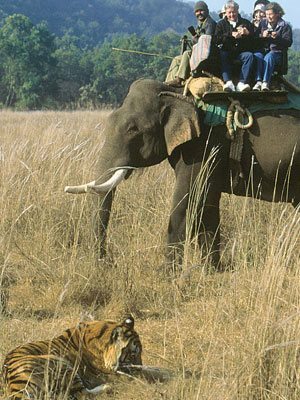 Tiger Camp Resort Corbett is strategically located at a small village named Dhikuli in Ramnagar city. It is approximately 06 Km away from Ramnagar Railhead. This vast cottage surrounded by the Sylvan greets you with songbirds to the hotel. This cottage is recommended to guests coming in large groups or families. This cottage offers four huge rooms and opens out into a wide lush green lawn. Each superior cottage comes with a large double bed, ample seating space for family and large groups, mirror, attached bathrooms with a large bath and a writing table.